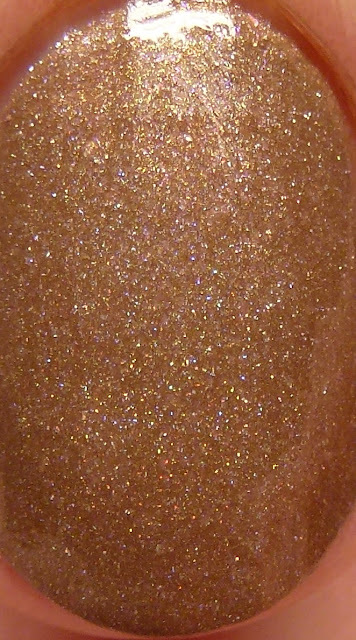 Kokomo is a coconut brown scattered holo with magenta and violet microflakes. It is really a gorgeous option for a brown! 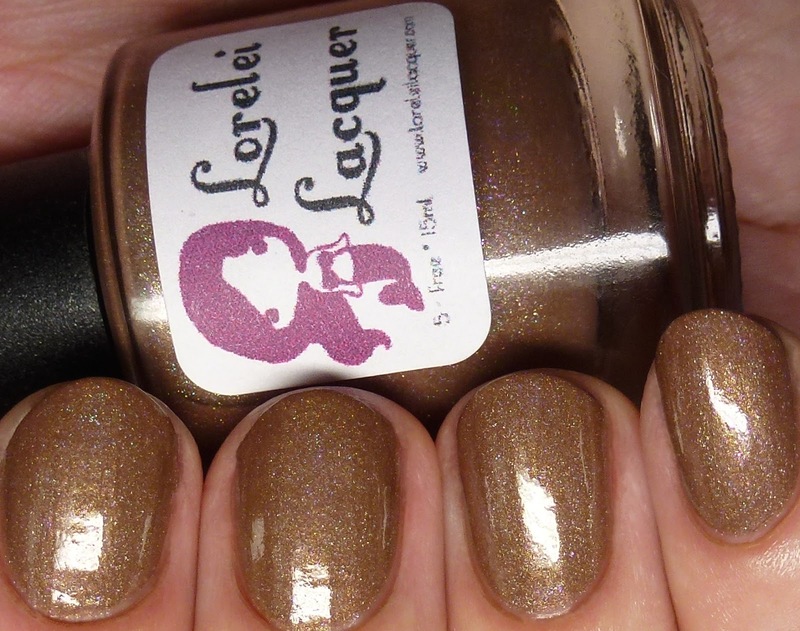 Nice formula, which I wore with two thin coats. 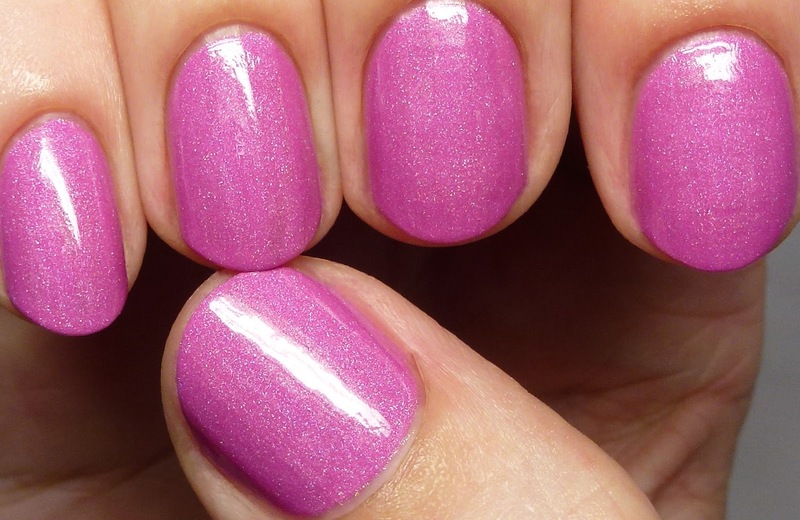 Montego is a pale magenta pink scattered holo. I wore this in three thin coats, but two would be sufficient. Pretty Mama has aqua and magenta glitters, as well as magenta microflakes, in an electric lavender base. I wore this in three coats. 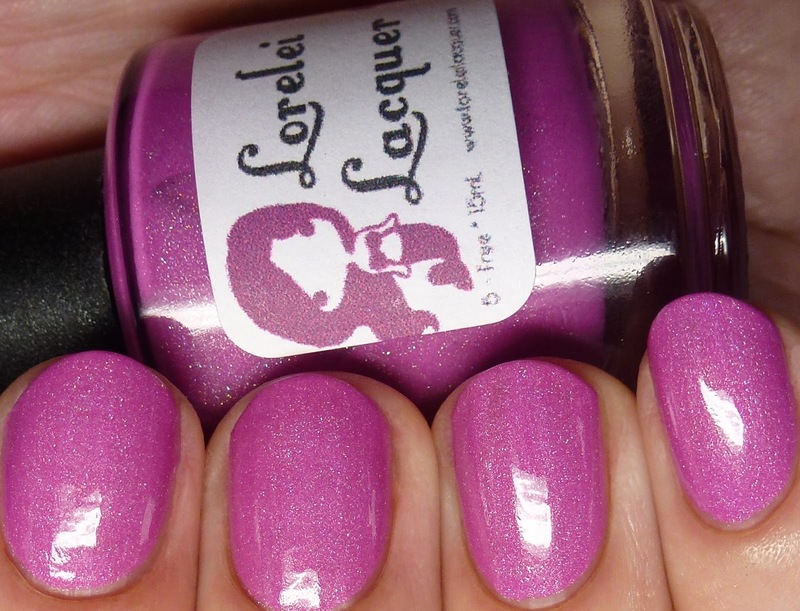 Fantastic formula and the magenta flakes just take it to the next level! 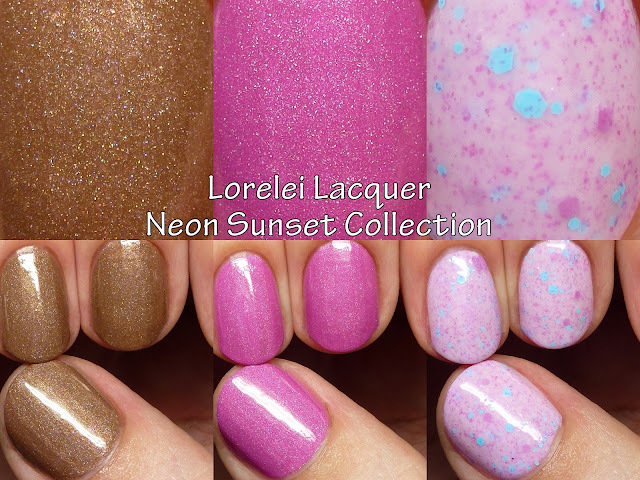 That concludes the Neon Sunset Collection! If you missed them, I have part 1 and part 2 with the six other shades. There is a sale running through July 6 for 25% with code liberty.